'In silence there is eloquence. Stop weaving and see how the pattern improves." "The silence after a lifetime of silence and the silence after a lifetime of talking is the same silence." water, sun & fertile ground abound. An elderly gent once complained to the sage, Ramana Maharshi, that he was reaching the end of his life, had studied the Vedas for many decades and was still heavy laden with burdens and woes. The Maharshi said, "You are on the train anyway. Whether you continue to carry your load or put it down makes no difference." We are so afraid to die and yet all that passes is the illusion of separation. Not that it's easy to let go of a lifetime effort spent gluing and scotch taping together a self-hood that freaks out at even a slight insult. I mean, look at us. We defend this separate self like our lives depended on it, when, in fact, only separation depends on it. Painful as it is to separate ourselves from others, we seem to be addicted to the task. Separation enables us to stand out, and to 'stand out, or stand forth from' is the root of Latin 'existere'. We exit being in order to ex-ist in the illusion of separation. Just here our suffering laden human battle is waged; most of us desperately trying to make the best of a mortal situation that will one day kill us, while generous sages tirelessly point out the value of abiding in the non-local center of our true nature, the place between... well... between. The 'between' place joins. It is where the barrier to which Schrodinger alludes in the above quote is seen through. 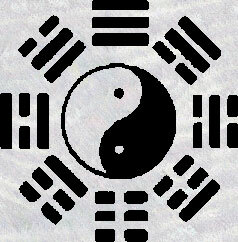 It is where all opposites, even being and non-being, are seen to be 'not two.' It is where the unreality of separation becomes as obvious as the pain of separation. Philosopher, Nicholas of Cusa, called this centerless center Divine and defined it as "a circle whose center is everywhere and whose circumference is nowhere." An Angel pointed and said to William Blake, there is your eternal lot, "between the black and white spiders." Advaita pronounces, "Neither this nor that am I." Advanced Advaitans add, "I am also not 'not this' and not 'not that'." (i know, I know. Don't complain to me about it). Penultimate word from the brilliant scholar-poet, Roberts Avens, "The soul is never identical with any literal perspective: the distinctness of the soul consists precisely in its ability to see through all mutually opposing views, systems, positions." forever, each once and only time breath. Everything d﻿ies except the ever present part of ourselves that we can never find. That part of us is truly alive. I mean really alive. It is Aliveness itself. Sensations, feelings, legacies, galaxies, they all arise and subside. It's a Clear Out Sale like no other. Everything must go. What does not die, says Nisagradatta about ten thousand times, is that prior awareness which registers consciousness-and-its-objects. That awareness is not to be found as any sort of object -- physical, mental, subtle, causal, imaginal -- yet without it there is no consciousness of form. Swami Muktananda once referred to that unfindable, supremely brilliant, supremely intelligent, no-thing awareness as the number 1 that gives value to all the zeroes in the universe. It's a nice analogy because it indicates how absolutely dependent each and every living thing is upon that singularity that never shows up, but which alone makes the whole show possible. Paradoxically speaking, that number One is numberless because it is also present in, and as, the life force that animates all sentient forms. So the Vedantins cleverly refer to it as 'not two' instead of one. 'Not two' means you can't put that awareness here and everything else over there. Awareness transcends our categories of numeration, opposition and conceptualization. With respect to awareness, Acharya Peter Wilberg, brilliantly observes that all things arising within it, appearing unto it, are 'distinct, but not separate' from it. Consciousness creates the outer world and we who experience it. This doesn't make Consciousness a separate Creator. Consciousness IS the outer realm and all who experience it. And all of THAT, subject and object, is a very small wave in the ocean of What Is. To paraphrase Nisargadatta, without the changeless, perception of change would be impossible. "Questioner: Scientists have discovered that... the very act of observation brings about a change in what is being observed. Nisargadatta: What is being observed also brings about a change in the observer, and unless that change is brought about in the observer, the observer cannot observe the object; therefore, one can never get to the depth of spirituality."